New York City landlords are the worst. They are in fact famous for being the worst, proud of it even. Jared Kushner isn’t even the bottom of the lot. They’re at their happiest when charging exorbitant rents for ill-kempt apartments in buildings with bad posture. Does your sink drain inexplicably smell of lunch meats? Do bits of your bedroom ceiling cover your floor like snow on a spruce? Does your building door neither lock nor open properly? And for all these dubious pleasures, do you spend two-thirds of your income on rent? Well then, you must be a renter in the five boroughs. Congrats. 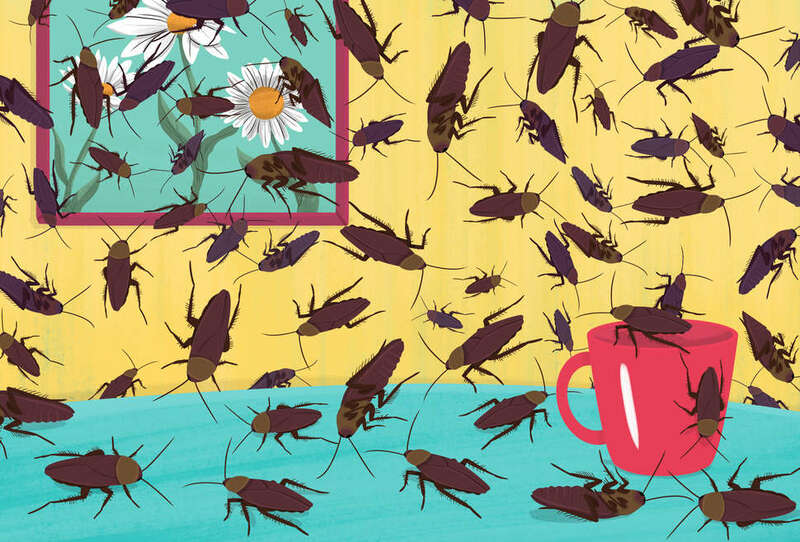 As a tenants’ attorney, I see landlords’ dirty tricks up close every day. With any luck, you will never have to come to my office. But luck alone is never enough in the city, so I’ve put together a short list of the major things your landlord does not want you to know. Sometimes it feels like your landlord has all the cards -- hopefully these tips will give you a few of your own, and save you some stress and money down the line. Like the yeti, an affordable rent-stabilized apartment sounds like something that exists only in folklore. But they are actually relatively common, and you may already be living in one without realizing it. Tenants in rent-stabilized apartments pay lower rents and have more rights than market-rate renters. If your apartment is rent-stabilized, your life could be better, even if it won’t keep your neighbor’s polka revival band from rehearsing every night. The trouble is, landlords hate rent-stabilized apartments, and may conveniently forget to mention it on the lease. Any building constructed before January 1, 1974 with six or more apartments should be rent-stabilized. There are exceptions to this rule, but if you live in an older building with six or more units, and your landlord has not given you a rent-stabilized lease, it’s worth your time to research your building’s history. Landlords are required to register rent-regulated buildings with an agency called the Division of Homes and Community Renewal (DHCR). If you go to your borough’s branch of DHCR with a lease or valid ID, they will give you a document called the rent history, which will tell you whether the building was registered as rent-stabilized. If that sounds like too much legwork, just email them. Unfortunately, landlords do not always register their rent-stabilized buildings with DHCR (remember what I said about them being the worst?). If DHCR does not have any record of your building, consider these other options. Check your building’s history online at the Department of Buildings and Department of Housing Preservation and Development websites. Again, the crucial criteria: Did the building go up before 1974, and was it registered with six or more apartments. If you live in a new building, check the Department of Finance website. The city grants many developers tax breaks to lower construction costs. In exchange, developers agree to make their new buildings rent-stabilized. Sometimes, sneaky landlords don’t tell their tenants about this arrangement. The Department of Finance website will let you know if your landlord did get a tax break, in which case your building may be rent-stabilized. Landlords will go to great lengths to avoid rent-stabilization. I once handled a case in which the landlord maintained -- despite irrefutable legal proof -- that the building was not regulated. His reason? He said it was my client’s mattress that was rent-stabilized, and since it had been thrown out, the status was void. Your landlord might not be quite this stupid, but you need to keep an even closer eye on the clever ones. If your apartment is rent-stabilized, your landlords cannot charge you whatever amount they pull out of a hat and multiply by two. They can only charge you the legal regulated rent, which is set so that living in New York City is not exclusive to hedge-fund-droids and finance-bots. This is what makes rent-stabilized apartments so great. You can figure out what your legal regulated rent is by going to DHCR and checking the rent history register. If it’s lower than what you’re paying, you are being overcharged. However, some New York City landlords have the cunning of hungry rats, and might register fraudulent rent with DHCR. There are ways to determine if the registered rent is fraudulent, but the analysis is a little complex. 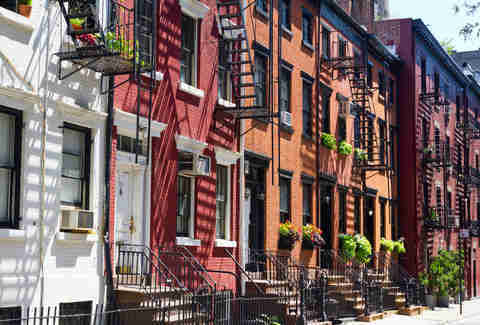 A rent-stabilized landlord can only increase the rent under certain circumstances, for example, when a new tenant moves in, when an existing tenant renews the lease, or if the apartment is given a major renovation. As you examine the rent history, look for anything fishy. Maybe your landlord claims they made major renovations in your apartment while a recent tenant lived there, but your walls are made of old newspaper and silly putty, and your refrigerator looks like your high school locker. DHCR has a fact sheet explaining what to look for. If you are being overcharged, you can file a case with DHCR or in court. If you win, you can force your landlord to pay you the amount you were overcharged. In fact, if DHCR or the court thinks your landlord intentionally overcharged you, they will award you triple the amount you overpaid. Yes, if the walls of your apartment could talk they’d ramble about a far rougher city, but that doesn’t mean you need to live with all those mustard stains from the '80s. In New York City, every apartment (rent-regulated or not) has to be maintained according to the Housing Maintenance Code (HMC). The HMC requires landlords to make sure the lock on your front door works, that your windows aren’t broken, and much more. 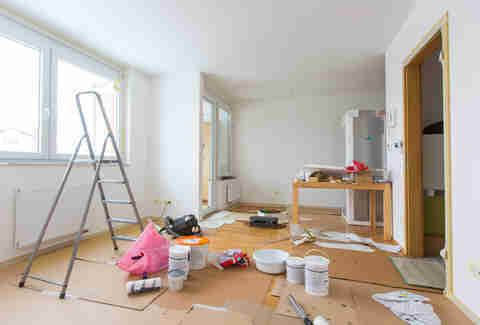 One section of the HMC requires your landlord to repaint your apartment every three years. This doesn’t mean that you can trash the place with a massive party, then force your landlord to come clean up. It is the landlord’s responsibility to maintain basic standards; you can still get in trouble for destroying your apartment. But if conditions start to deteriorate because of usual wear and tear, your landlord is responsible for fixing them up. If a fresh coat of paint would breathe new life into your apartment, consider asking your landlord to foot the bill. One of a landlord’s favorite tricks is to blame the tenant (you) for everything that goes wrong in the apartment. Paint is peeling? That’s your fault for putting up a picture on the wall. Toilet is backed up? You shouldn’t have been using the bathroom so often. Front door is busted? That’s on you for walking through it, like, every single day. The truth is, not everything that happens in your apartment is your fault, and if things are going wrong you can tell the City about it. There is a New York City agency called the Department of Housing Preservation and Development. One of its jobs is to make sure landlords comply with the Housing Maintenance Code. If you call 311 and ask to speak with them, you can get a city inspector to come out to your apartment and issue violations for bad conditions. Landlords hate having the City breathing down their necks, and they can get fined for failing to fix violations issued by the HPD. So if your landlord refuses to fix that leaky faucet, or won’t put up new drywall over that hole, consider calling 311 and reporting them. Your landlord is more likely to take your problem seriously when the alternative is to pay thousands of dollars in fines. Nobody wants to go to court. It is a stressful, unhappy place filled with lawyers. But sometimes it is the best place to go if things get messy. Maybe you fell behind on the rent and need a little time to catch up. Maybe you and your landlord just don’t like each other, and she decided she wants you out. If things have gotten that bad, the key thing to know is that your landlord cannot just kick you to the curb. It is illegal for landlords to change the locks or throw their tenants out on the street. The practice, called “self-help eviction,” was outlawed because it was cruel and dangerous. If your landlord wants you to leave, they have to take you to court. The court process is long and gives tenants many opportunities to assert their rights. To start a case against you, your landlord has to give you formal notice that she wants you to leave the apartment. Next, she has to serve you with a “petition,” which officially opens the case. And then, your landlord has to convince a judge that you should be evicted. Finally, she has to get a city marshal to come out and actually do the evicting business in person. At every stage, tenants have the right to raise legal defenses and slow down the process of eviction. I have heard countless stories of landlords telling tenants that they just need to leave, and threatening to change the locks if they don’t. Sometimes these threats work, and people move out before they have a chance to stand up for themselves. Do not get bullied by this posturing. If your landlord wants you out, they have to take you to court first. 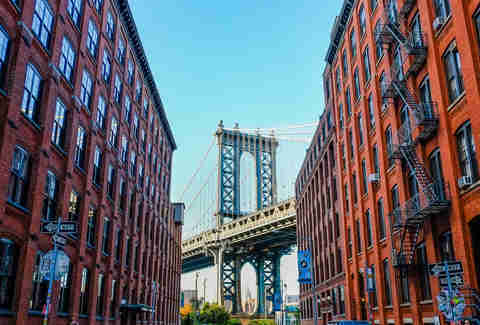 If you live here long enough, these five tips will eventually make navigating the world of renting in New York City a little less daunting. Of course, in actual legal matters, you should consider consulting an attorney. And one final thing: Good luck out there. Heads up: This article does not constitute legal advice. Brian Sullivan is a tenants’ attorney in New York City, defending low-income tenants from eviction.